A man illegally carried out a tobacco business at a rugby club. Forty-year-old Scott Elliot, of Riverview, Bonchester Bridge, admitted carrying out a tobacco business whilst unregistered, at St Boswells RFC, Jenny Moore’s Road, St Boswells, on November 7. 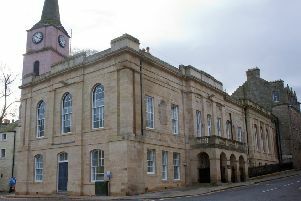 Sentence was deferred at Jedburgh Sheriff Court until March 16 for the accused to appear personally.